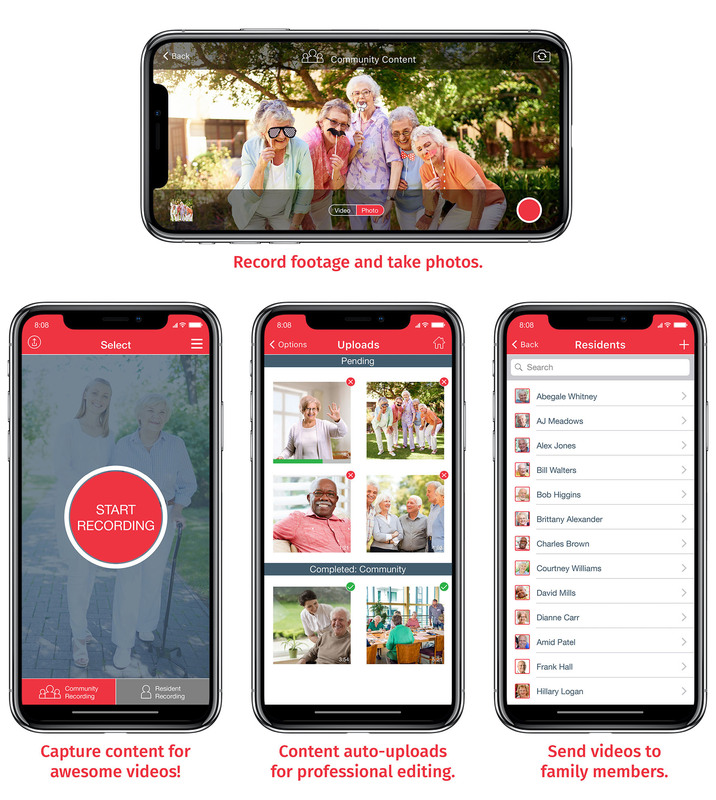 A smartphone app for caregivers and staff, RemyGo™ allows senior communities and home care organizations to leverage video for a wide variety of needs. 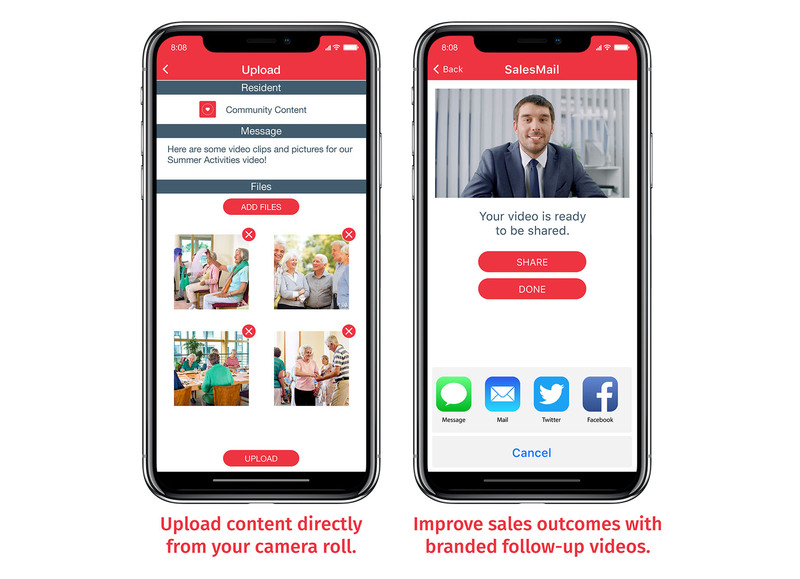 Staff can capture content for marketing videos, follow-up with prospects using SalesMail™, send video greetings to families, and record life story videos from the convenience of your device. Content for marketing and life story videos uploads to HeartLegacy for editing and branding. Video greetings post directly to private family networks. SalesMail messages deliver directly to recipients via email, text, or your preferred messaging app.